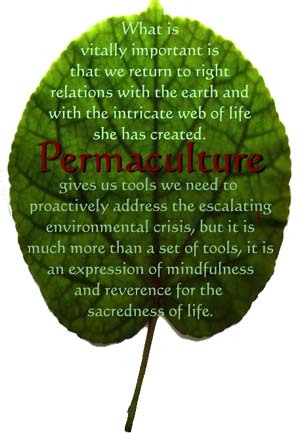 Permaculture (permanent agriculture) is a term created by Australian Bill Mollison to describe a land use system that is modeled after natural eco-systems. Mollison defines Permaculture as the conscious design and maintenance of agriculturally productive ecosystems that have the diversity, stability and resilience of natural ecosystems. It is the harmonious integration of landscape and people providing their food, shelter, energy and other material and non-material needs in a sustainable way. The permaculture philosophy is one of working with rather than against nature, of looking at systems in all their functions rather than asking only one yield of them, and allowing systems to demonstrate their own evolutions. 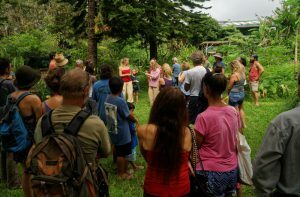 Permaculture is applicable in urban, suburban, and rural environments and offers a proactive approach to addressing the escalating environmental crisis. 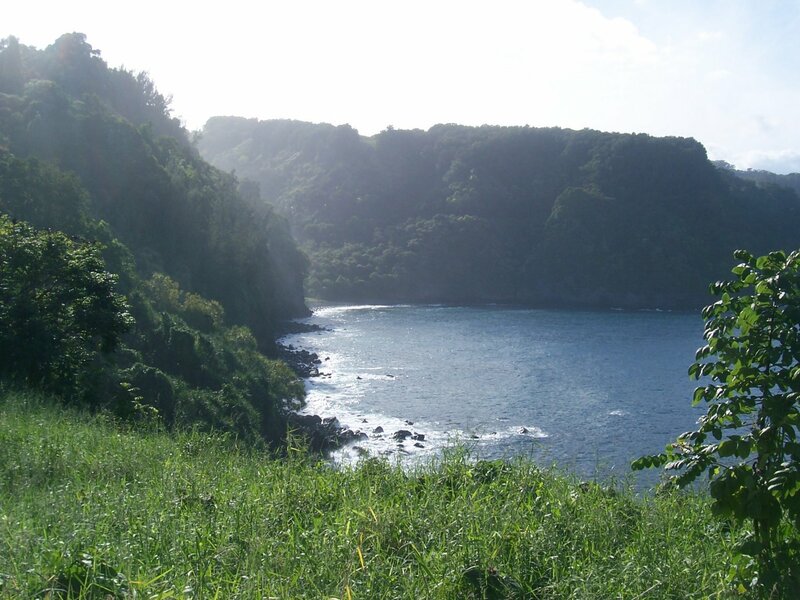 Permaculture design is a “whole systems” approach to land use planning based on the patterns of symbiotic relationships between land, water, wind, soil, animals, and people inherent in natural eco-systems. We recommend and use the following books. You can order these books here from our website. Clicking on each book will take you directly to the amazon.com page to order that book. Take responsibility for our own existence and that of the children. Observe. Use protracted and thoughtful observation rather than prolonged and thoughtless action. Observe the site and its elements throughout all the seasons. Design for specific sites, clients, and climates. Connect. Create functional relationships and time-saving connections among all parts. The number of connections among elements creates a system, not the number of elements. Each element performs multiple functions. Choose and place each element in a system to perform as many functions as possible. Increasing beneficial connections between diverse components creates a stable whole. Each function is supported by multiple elements. Use multiple methods to achieve important functions. Redundancy protects when one or more elements fail. Make the least change for the greatest effect. Find the “leverage points” in the system and intervene there, where a the least work accomplishes the most change. Turn problems into solutions. Constraints can inspire creative design. We are surrounded by insurmountable opportunities. Use the edge effect. The edge—the intersection of two environments—is the most diverse place in a system, and is where energies and materials accumulate. Optimize the amount of edge. Encourage diversity. Complex, diverse, highly connected systems are more resilient, productive, robust, and sustainable than simple ones. Accelerate succession. Mature ecosystems are more diverse and productive than young ones, so use design to jump-start succession. Use biological resources. Renewable resources (usually plants and animals) reproduce and build up over time, store energy, assist yield, and interact with other elements. Recycle energy. Supply local and on-site needs with energy from the system, and reuse this energy as many times as possible. Use appropriate technology. Apply sustainable practices for cooking, lighting, transport, heating, sewage treatment, water, and other utilities. Mistakes are tools for learning. Plan to evaluate your trials; making mistakes is a sign you’re trying to do things better. List compiled by Toby Hemenway, author of Gaia’s Garden, and instructor at past La’akea Design Courses.